I am trying to include a Philio 4 in 1 (PST02-1A), but it is not recognized by the Philio-app. Who can help me? Can you share the ID's that are shown in de device view? What is node 82 doing, spamming your network? Recently I made a app for the Philio PMS-02 motion sensor. Please let me know if you have a Philio device that you want to use with Homey. I just have received the Philio tech PAN11-1B smart energie plug-in switch, i would like to use it with homey, but I don't get it working with homey (SW 1.5). It starts to recognize, but then it stops at security key exchange. I followed the direction of downloading the philio app and then finding the philio 4 in 1. However the philio 4 in1 is not found so i can not add it. So can you share your device ID? 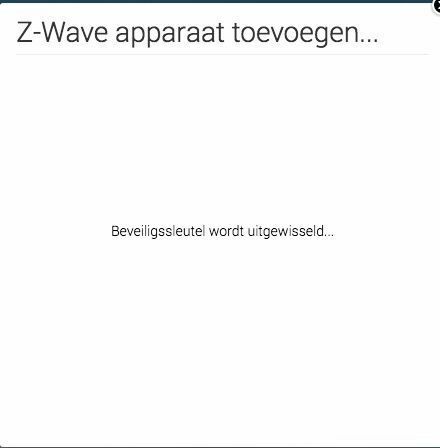 Go to the devices view, click on the wrench of the Z-wave device, open the 'Node information' tab. @Wijnie Is it included in Homey or didn't find Homey the Device while you try to enclude them? You wrote "... is not found ...". I open the Philio app PSM02 (there is no PST02-1A), put the battery in the device and wait. @Wijnie Your Homey has an installed Philio-App and the App is listed under Settings > Apps? You're going on your Homey to Devices, Tab + for a new Device, select there Philio > What for Devices could be select there? Slim-Multi S... wich is on Mouse-Over the PST02-A. It's not named as PST02-1A but it works (got a lot of them on Homey). You wrote you tryed it with PSM02 but got an PST02, or? I first like to thank you for your help. I reset the z-wave networdk, restarted the philio app and then i tried all the devices in the philio app. i got no response at all. @Wijnie Was the Philio a new Device? Tryed with one or more Devices? Did you made a Factory-Reset on Philio? @Wijnie One more: How you started including? First Battery on Philio In/Out and then the part on Homey? First I open the device in the philio app and than i put the battery in the device. How can I make a factory reset on the device? Pressing tamper key four times within 1.5 seconds and do not release the tamper key in the 4th pressed, and the LED will light ON. After 3 seconds the LED will turn OFF, after that within 2 seconds, release the tamper key. If successful, the LED will light ON one second. Otherwise, the LED will flash once. IDs are excluded and all settings will reset to factory default. "First I open the device in the philio app and than i put the battery in the device." You see the Homey-Including-Page after open Device in Philio-App? Also look that the Device is near Homey while including. Got another problem. Trying to reset the philio the tamper got stuck in the device. I now first have to get the tamper key out of the device before I can do the reset. Thanks for your help sofar. I tryed to get the tamper out, but I failed. However and I don't know why, it is recognized by Homey. So thanks for all your help. I don't think the tamper key has failed. my tamper button works fine but homey reports it in tamper on status all the time. how do I reset this for the PST02-1A ? Philio does not reset its own tamper alarm after some time, unless implemented separately by the driver creator. manufacturers choice (the only manufacturer that does this), and homey not having a button to reset the state. Got the same with Tamper-Alarm. Best way (got more) to delete Tamper-Alarm: Ptp Homey after 24h when Tamper-Alarm goes On for more than 20 Minutes and Tamper-Alarm is gone. I have a Philio PST02-1C that get stuck in Tamper Alarm. Have re-included it twice but the tamper alert triggers and will never go away. The device worked just fine with my Vera, so I think the problem is in the Philio app or in Homey. (I just got the Homey today so I'm still a bit confused how to do things compared to Vera. I don't know if it has something to do with the App. But after update to 1.5.6 of Homey. My Philio SP05 is not working anymore. Adding my new Philio PAN06-1B does not report the power meters for either of the channels. The device is also only indicated as PAN06-1 (A switch). Switching works fine, but not readout of measurements. Is there any addition of the B-switch, or modification of the existing one to include power measurements?